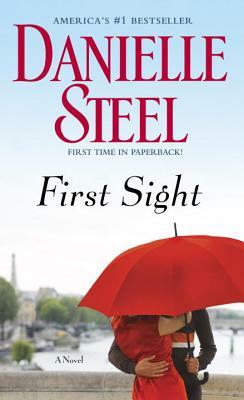 Paris, L.A., and the world of ready to wear fashion provide rich backdrops for Danielle Steel's deeply involving story of a gifted designer whose talent and drive have brought her everything -- except the ability to erase her past and trust relationships. New York. London. Milan. Paris. Fashion Week in all four cities. A month of endless interviews, parties, and unflagging work and attention to detail at the semiannual ready to wear fashion shows -- the famous prêt-à-porter. At the center of the storm and avalanche of work is American Timmie O'Neill, whose renowned line, Timmie O, is the embodiment of casual chic, in fashion and for the home. She has created a business that inspires, fills, and consumes her life. First Sight is as complex and compelling as modern life itself. Careers, families, histories, losses, duty, obligation, and fear of losing control and getting hurt. It is a tale of daring to take risks, and losing control just enough to have a life, when the opportunity presents itself. When two very different worlds and strong-willed people collide, everything changes in an instant, as they confront the age-old question of whether to lay oneself bare and risk intimacy -- or not. Are they brave enough to face what comes next? And will they do it together or apart?